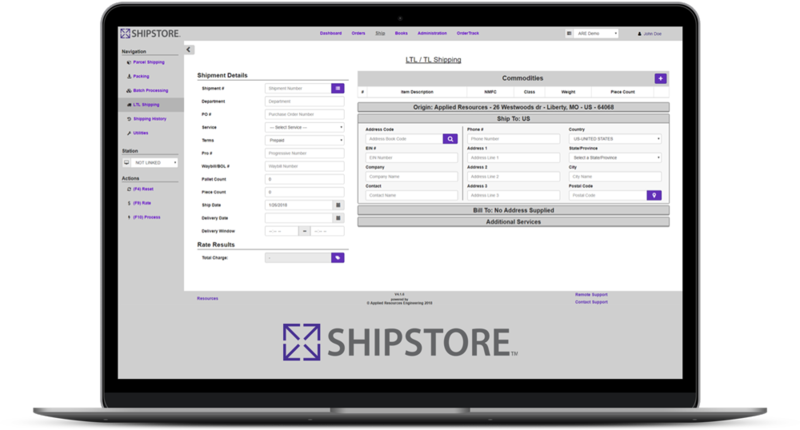 SHIPSTORE modules expand shipping capabilities and services as your business evolves. Choose from a list of proprietary modules or contact an application engineer to develop your own module tailored to your needs. 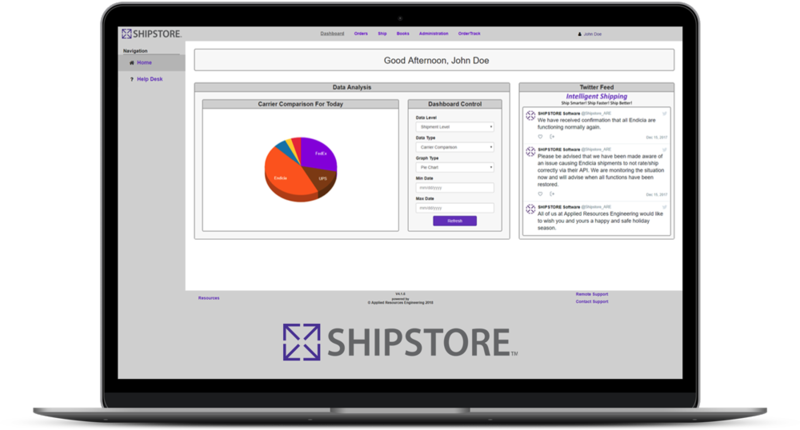 The SHIPSTORE Dashboard offers screens for a wide variety of functional roles, ranging from shipping to customer service. 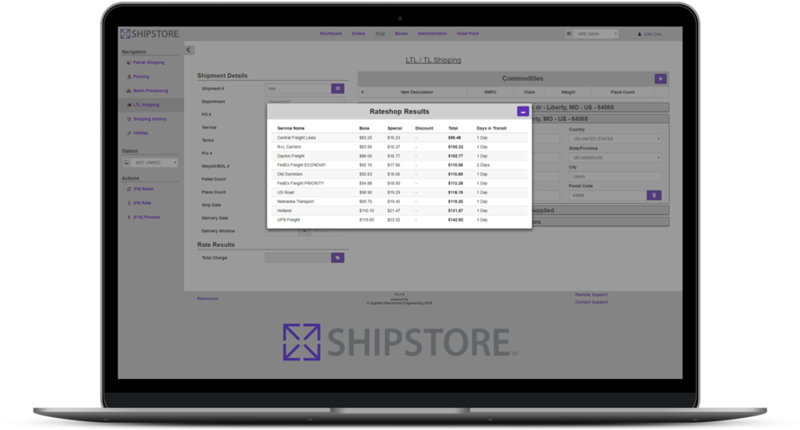 Whether the user is operational, financial and needing to calculate performance outliers, or an executive interested in aggregate KPI’s, the SHIPSTORE dashboard is a one-stop destination for anyone who needs to stay on top of shipping data. 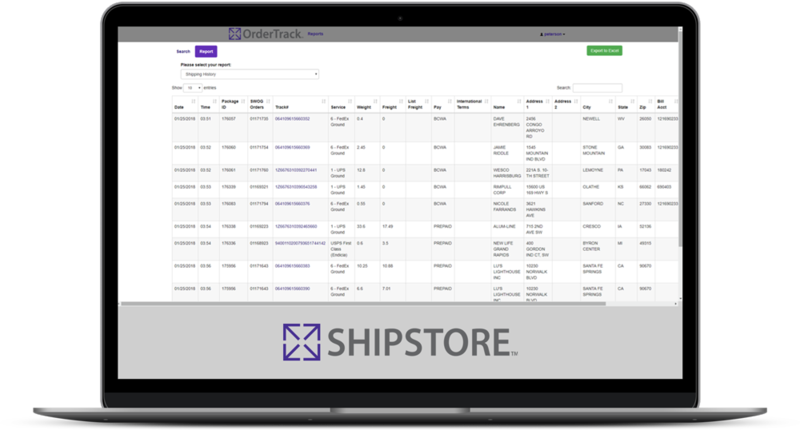 The SHIPSTORE OrderTrack Module allows you to keep track of all shipments from one easy location. Instead of having to go to multiple different carrier websites to find the status of your shipment, we combine all status reports into one simple screen. 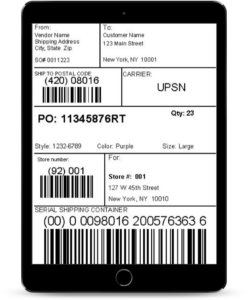 You can also share this feature with your clients allowing them easy access to their shipment status as well. The SHIPSTORE Profiles Business Logic Layer is a unique feature that allows you to customize all of your different customers’ business logic through the use of profiles. Controlling unique logic needs for your customers, including automatically running processes, to defaults, settings, markups and building queries all through one common interface. 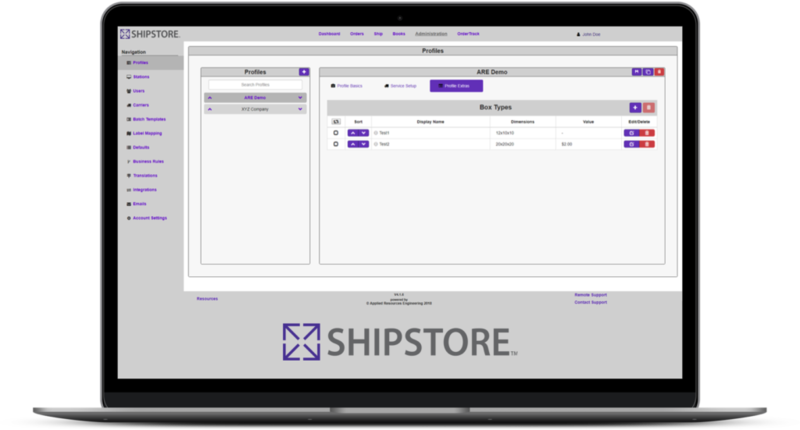 The SHIPSTORE Custom Email Notification Module allows you to create custom email templates designed with logos, styling, colors and formats. The SHIPSTORE Order Entry Module allows you to have your CSR’s quickly and easily enter orders into your database to be use at a later date or time. The module can act in place of any normal integration, allowing for single entry or batch imports. 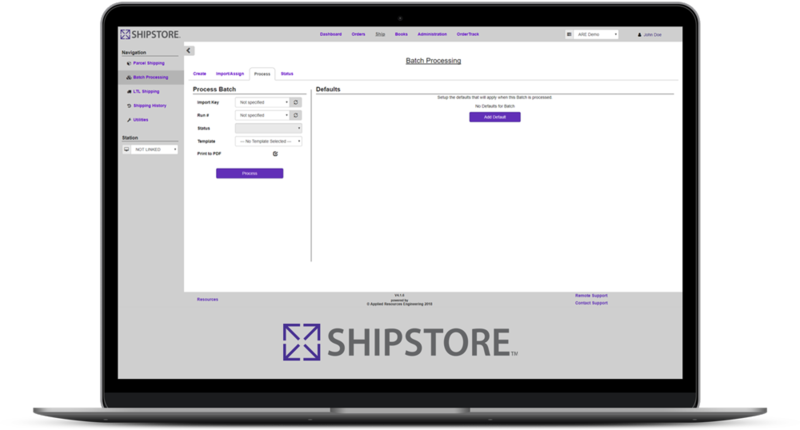 The SHIPSTORE Batch Processing Module allows you to import a batch file into the system and process all shipments at once through our customizable templates. The SHIPSTORE Box Type Module allows you to import a list of box sizes with dimensions into the system for quick access. 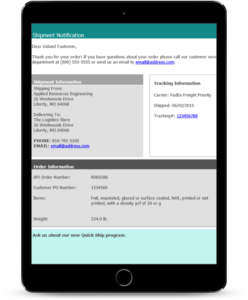 These pre-loaded measurements allow the packer to select accurate dimensions with every shipment in order to minimize carrier dimensional charges. The SHIPSTORE Item Book Module allows you to import a list of products into the system which are available with a single click of a button. This is most useful for LTL and international shipments, or if you have a set list of inventory that cannot transfer into the system via integration. 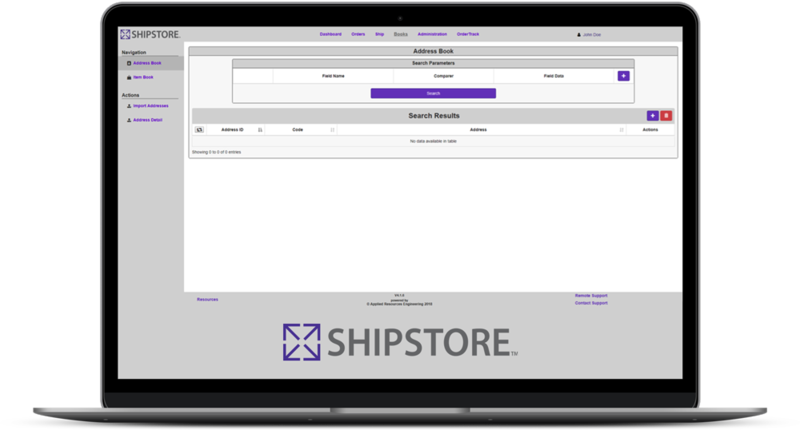 The SHIPSTORE Address Book allows you to have a list of addresses stored in the system for quickly processing shipments going to each location. The Book allows you to pair shipping accounts to these locations in order for the system to automatically bill customers in case of non-prepaid shipments. 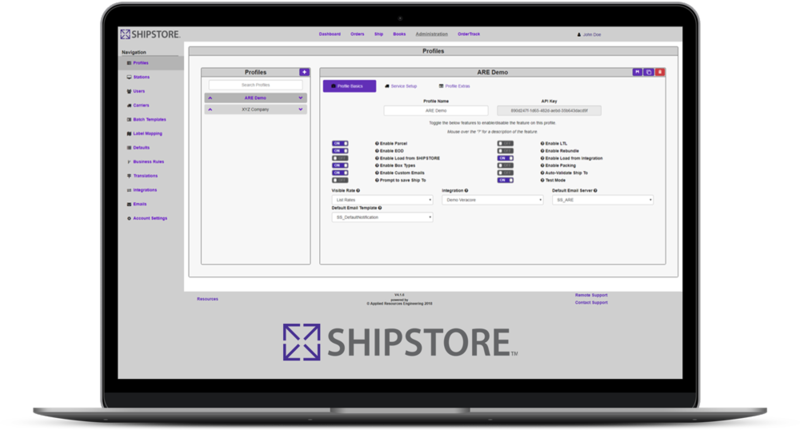 The SHIPSTORE Shipment Consolidation Module allows you to combine multiple orders into one shipment while still giving you the freight cost for each individual order. 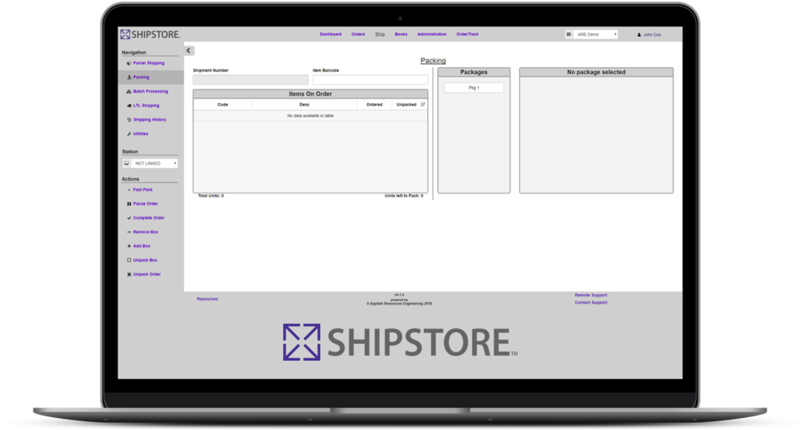 The SHIPSTORE Rebagging Module is designed to simplify multi-piece shipments by allowing you to process a label, print it for each box while it is on the scale, and then regroup all packages back into one shipment. The SHIPSTORE Packit Module allows users to assign items to specific boxes in order to keep track of which items are where throughout the entire shipping process. This is especially useful when used in combination with modules such as the SHIPSTORE ASN Module. The SHIPSTORE LTL Rate Management allows you to import rates for LTL carriers that do not have API’s. Now you can rateshop your local carriers along with the larger ones to ensure you are getting the best rate possible. The SHIPSTORE LTL/Small Parcel Comparison Module gives you the option to rate a shipment to determine whether it would be more cost effective to move small parcel or LTL depending on the size and weight of the packages. This is convenient when comparing LTL to hundredweight services. 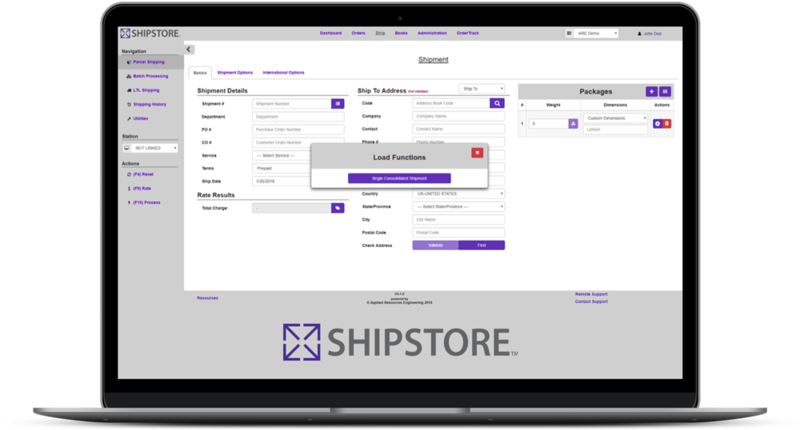 The SHIPSTORE ASN Module allows you to create ASN labels at the time of shipping and generate ASN EDI files to your customer to notify them of an incoming shipment.